When it comes to seafood in steakhouses, lobster and shrimp tend to dominate the spectrum, with perhaps raw bar items like oysters coming in as star starters. But one menu mainstay at many a steakhouse deserves some cred as well: salmon. It’s a little known secret that steakhouses serve some of the best salmon dishes, thanks to their tried-and-true connections with the country’s best purveyors sourcing the freshest product, and their skills at preparing not just meat, but fish and seafood as well. Here are several of Chicago’s best steakhouse salmon dishes. Steak 48: Sustainable, fresh and as wholesome as it comes, salmon at Steak 48 hails from Shetland Island off the coast of Scotland. Some of the best fish in the world comes from this region, as evidenced by the superlative salmon that gets simply seared and served with Chardonnay, sea salt and cracked pepper. When the fish is this fresh and naturally flavorful, it doesn’t need many bells and whistles, just a spritz of seasoning and a splash of rich wine. Prime & Provisions: You can’t talk about salmon in Chicago without giving props to Prime & Provisions. As with everything else on their menu, from maple-drizzled fried chicken to the show-stopping s’mores dome, the salmon here is extraordinary and extraordinarily unique. Borrowing flavor inspiration from delis, the fish is pastrami-seasoned, broiled and served with beurre blanc and pumpernickel crostini. 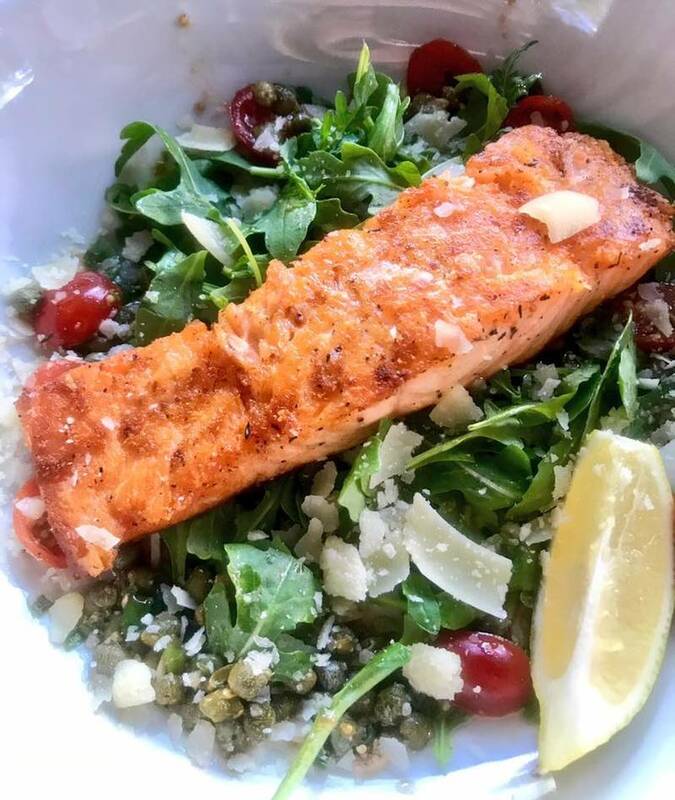 Gibsons Bar & Steakhouse: Salmon is all over the menu all day long at this Gold Coast institution. At lunch, you can order it as a graxlax Benedict, as a blackened salmon sandwich or in herb-crusted entree form with arugula, grape tomatoes, capers, olive oil and shaved Grana Padano. Or you can always wait until dinner and partake in the broiled Faroe Island salmon plate, which arrives simply with marinated cucumbers and red onions. 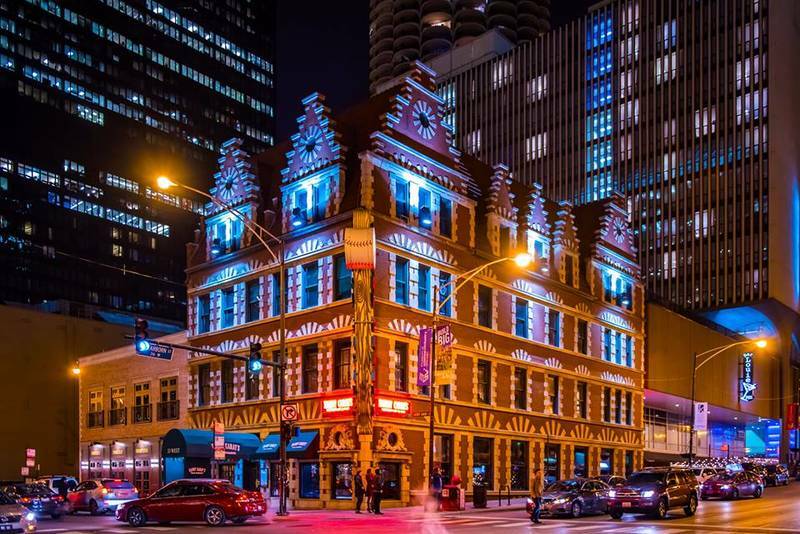 Harry Caray’s Italian Steakhouse: True to form, salmon adopts an Italian accent at this River North go-to. One of the more delicate entree options at the menu, Harry Caray’s keeps it light and bright by grilling the fish with a splash of citrus before serving it with braised Tuscan kale and a dash of Calabrian chile oil for added heat. Chicago Cut: Of the many fish dishes on deck at Chicago Cut, salmon is among the best. It’s also paired with some pretty unconventional ingredients that serve to amp up the heartiness of this innately light fish. The Scottish salmon arrives with a bed of braised red cabbage, lending a burlier quality to the dish overall, along with some romanesco for crunch and color. 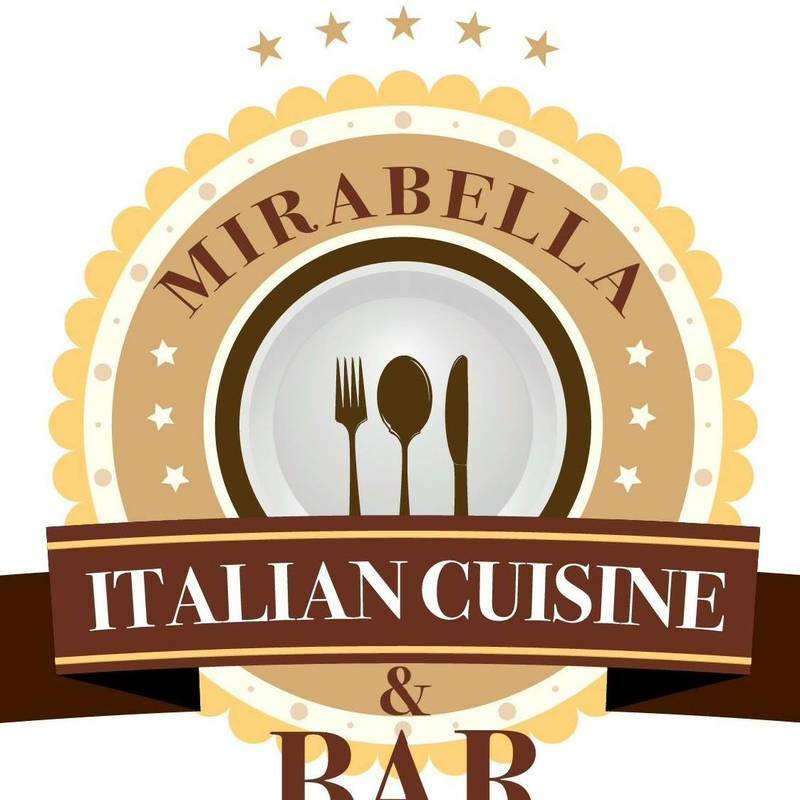 MIRABELLA ITALIAN CUISINE INVITES YOU TO A PARTY!